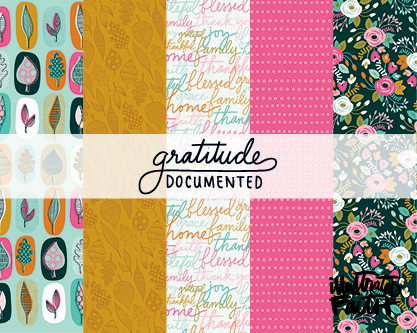 Inspired by one of Shanna’s favorite projects each year, the Gratitude Documented collection encourages daily, intentional praise. By intentionally praising Him each day, a beautiful and peaceful sense of clarity reveals just how much He loves us! The bright colors and beautiful foliage bring this season of gratitude to life through papers, stickers, and embellishments. Gratitude Documented from Illustrated Faith is sure to be the perfect backdrop to a thankful season. We certainly are abundantly blessed!